Why Is A Multilingual Whistleblower Platform Important? While there are over 7,000 languages in the world, over half of the world’s population speaks one of 23 languages as their mother tongue. 23 languages might sound like a small number, but the population they present is close to 4 billion people. So what does this have to do with whistleblowing? First of all, as corporations roll out whistleblower policy programs, they are bringing them to new countries. Furthermore, governments and large enterprises also need to serve multilingual users in their home countries. Organisations want employees to have “courageous conversations” and report misconduct. To help employees feel comfortable doing this, it’s crucial they can make a whistleblowing report in their native language. In this article, we will examine why having a multilingual whistleblower program is important as well as the benefits it can provide. Speaking out and having courageous conversations differs by culture. Some cultures are more expressive and employees easily speak out; others are hesitant and more fearful of being heard. Some countries are more meritocratic and report misconduct quickly. Other countries have endemic corruption and don’t have a culture of reporting it. For these reasons, cultural differences create challenges for organisations implementing a whistleblower program. It's important to provide a consistent message and be clear with employees about what you expect them to report. This message can be lost if it's only in English; you also need to communicate it in the local language. You want to ensure there is clarity and employees understand the importance of your program, what to report, and how to report. To guarantee this clarity, you must translate and localise the message. For many multinationals, the default language is English, with localisation put in place as needed. With your whistleblower program, localising it shows employees you care about their voice and you are investing to hear it. Encouraging employees to have courageous conversations will only go so far if everything is in English. 40% of fraud cases are identified by whistleblowers* (compared to only 15% discovered by internal audit*). Communicating in their native language will encourage employees to make reports, which will help you better identify blind spots. In an earlier article, we discussed the importance of the experience a whistleblower goes through. With an easier experience, you receive more reports and identify more risk. Communicating your whistleblower program in employees' local languages is a key part to make reporting easier for employees. You have invested in your whistleblower program and you want to ensure employees understand it. Submitting a report is a stressful experience and having local language content to guide the employee can make all the difference. If English is not your native language, navigating a form and filling in a questionnaire can be daunting. Many whistleblowers will drop out and the net result is you won't identify the risk they know about. Those that do power through often can become confused and can provide you with incorrect information. Having your whistleblower policy and questionnaire in employees' languages guarantees a higher level of understanding. They will know the goals of the program as well as how to respond, and the information you receive will be more accurate and of higher quality. While much of the multilingual efforts focus on whistleblowers, don't forget about case managers. Case managers not fluent in English face the same challenges as whistleblowers. It's harder for them to understand a case, harder to follow the workflows, and they end up missing the nuance that their local language can provide. 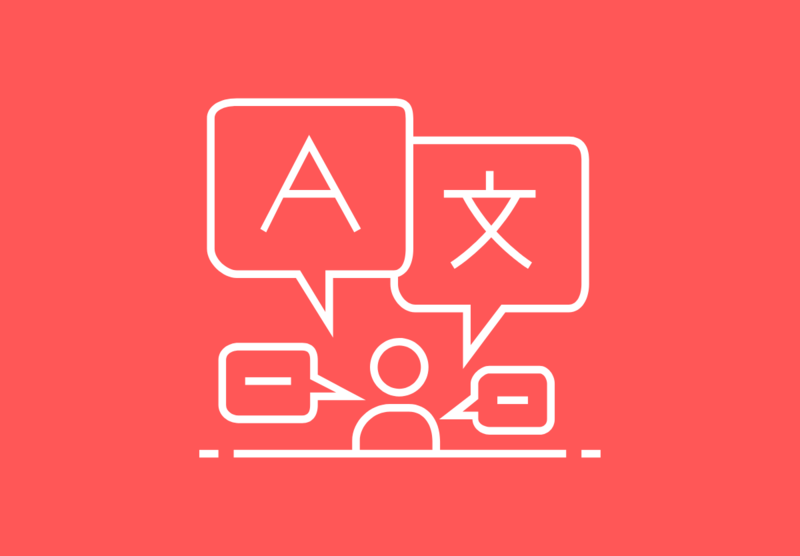 Being able to read reports in their native language helps their understanding as well as ensuring they ask the right questions. They will be able to identify issues faster and close cases quicker. For any organisation with multilingual employees, it's crucial to have a localised whistleblowing program. Engaging employees in their language will help them feel at ease, which increases adoption and reporting. With more reporting, you are going to identify more risk, which is a key goal of any whistleblower program.